What is a mineral jig? Mineral jigs are a type of mining equipment, also referred to as gravity concentrators or jig concentrators, that are used in operations to separate different ore materials based on their densities. Usually they will process material that is a similar size after the ore has passed through a crusher or over a screening plant. Although there are many variants that will take place in a mineral jig, certain principles remain constant. Material is first fed into the jig bed, usually made with a screen, then propulsing columns thrust water upward which suspend particles in the water because they have been exposed to gravitational energy. Frequencies normally range in between 125-350 strokes/minute. In between the pulses material that is heavier will be trapped in the bed filled with steel shot (small round steel media) and settle in the bottom of the jig and the concentration is removed separately for further processing with an example being over a gold concentrating table or if the grade is high enough in a smelting furnace. If a jig concentrator is being used for minerals that are lower in density, coal being one, the gravitational energy has a reverse effect because material around coal is heavier and the coal will float towards the top. What companies manufacture mineral jigs? There have been many different companies who have manufactured their own version of a mineral jig. Madden Steel Inc. (MSI Mining) produces the 4Plex Gold Roughing Jig and Duplex Jig. The 4Plex gold jig uses a roughing 50 inch 4plex jig and twin 36 inch cleaning jigs underneath with gold recovery rates of up to 98 percent. Their 50 inch Duplex jig is able to recover gold down to 400 mesh (37 micron) while processing 56 tons per hour. 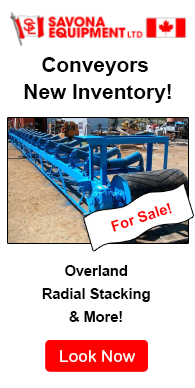 Savona Equipment regularly has used MSI mineral jigs for sale and will provide necessary modifications and reconditioning before the jig goes out into the field. Mineral Technologies produces the Kelsey Centrifugal Jig. This circular jig has been engineered when a miner needs extremely fine concentrate grades and mineral recovery. The process combines conventional gravity separation and centrifugal force allowing for size recovery down to 10 microns. 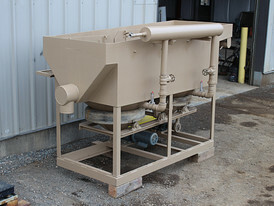 Sepro builds selective mineral jigs ranging in capacity from 5-400 tons per hour. They supply in Simplex Models (single unit) or the Duplex Models (2 jigs in series). Their units are made to process material that has a minimum difference in specific gravity units of 1.0. 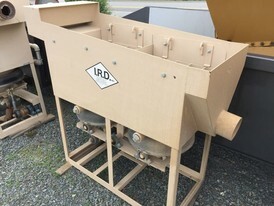 Some other past producers of jigs for ore processing included Pro-Pulse and Gardner Denver. What type of mining operations are mineral jigs used for? Mineral jigs in mining are known as one of the most complex areas in mineral processing because of the continuously changing hydrodynamics. Jigs are used to separate materials in alluvial deposits to anthracites. If a jig is used in hard rock mining the material will need to be crushed before the recovery of diamonds, gemstones, gold, and coal is able to take place. They are also common in platinum, tin, tungsten, and sapphire operations and other lower density mineral mines. Iron, manganese and other base metal mines are also able to use mineral jigs in their processes. 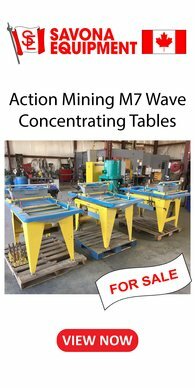 Are there different machines connected to a mineral jig? Electric motors would be the common machine directly connected to the jig providing the power, and some units may also include an electric starter. 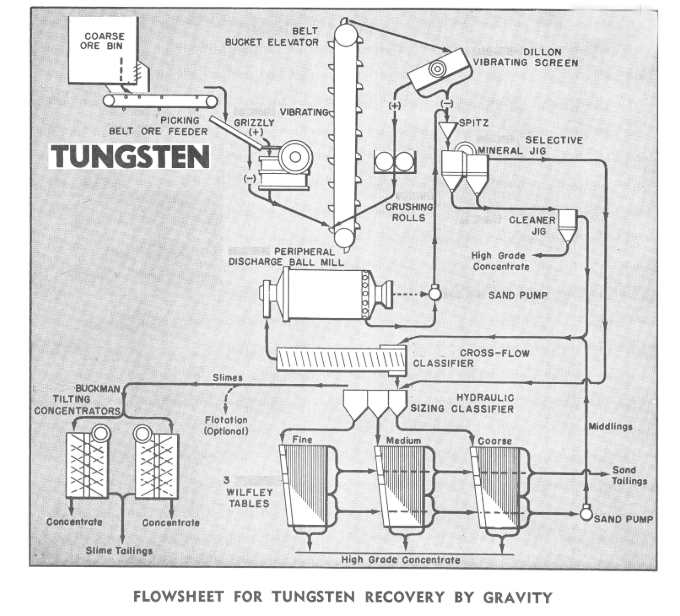 Using a scenario where mineral jigs are in a tungsten recovery process there are many different equipment items before and after the jigging takes place. 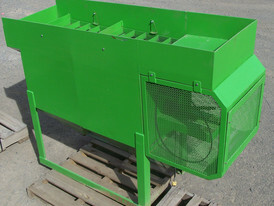 Material will be transported to a roll crusher after initial screening and crushing. 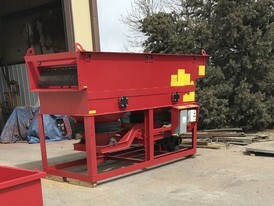 The ore will be fed into a vibrating screen to sort, with oversize being fed into a ball mill for additional processing and the specific sized material sent into the mineral jig. The concentrate produced in the first jig will be processed by an additional cleaner jig which produces the first batch of high-grade concentrate. Material that needs additional processing from both jigs will be sent to a classifier and then to concentrating table circuit producing a second batch of high grade concentrate. Common with most mine operations, mineral jigs are one part of the extensive ore extraction process. How do mineral jigs range in size and capacity? A mineral jigs size and capacity range will depend on the operation. If one is being used for a small placer mine, capacity may be 5 tons per hour. Using 2 tons/hour per square foot of jig bed is a good rule of thumb. In large scale mines a single duplex mineral jig will process up to 450 TPH and this will be scaled up by adding more units to reach capacity required. Capacities are always estimated based on closed grinding circuit with re-circulating load. Capacity will range depending on the mineral being liberated. The size range which gravity concentration is able to be applied is up to 1 metre (3.2 ft.), but the ideal largest size to process is around 500mm (19.7 in.). On the small spectrum material that is around micrometres is the cutoff for reasonable processing results.